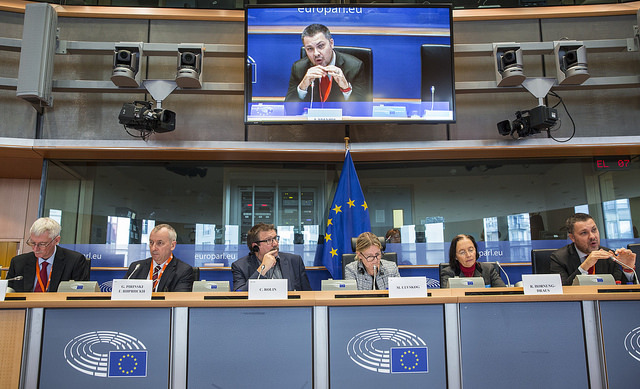 Eurofound presents its sixth European Working Conditions Survey at a conference in Brussels organised jointly with the European Parliament Committee on Employment and Social Affairs. The one-day conference will bring together up to 200 policymakers, social partners, academics and representatives from national authorities and the European institutions. Among the high-level contributors being invited to participate are Members of the European Parliament, the European-level social partners, the European Commission, the ILO and OECD, as well as Members of the European Economic and Social Committee (EESC) and the EU Employment Committee (EMCO). Note that after this event the weightings in the EWCS dataset have been adjusted. These changes, which do not affect the results, are now reflected in the presentations. The pan-European survey covers more than 43,000 face-to-face interviews with workers in 35 European countries. It maps changes in work over time and provides the first comprehensive image of job quality in Europe since the Great Recession. Its aim is to help policymakers improve working conditions and share evidence on people's everyday scenarios at work.